So . 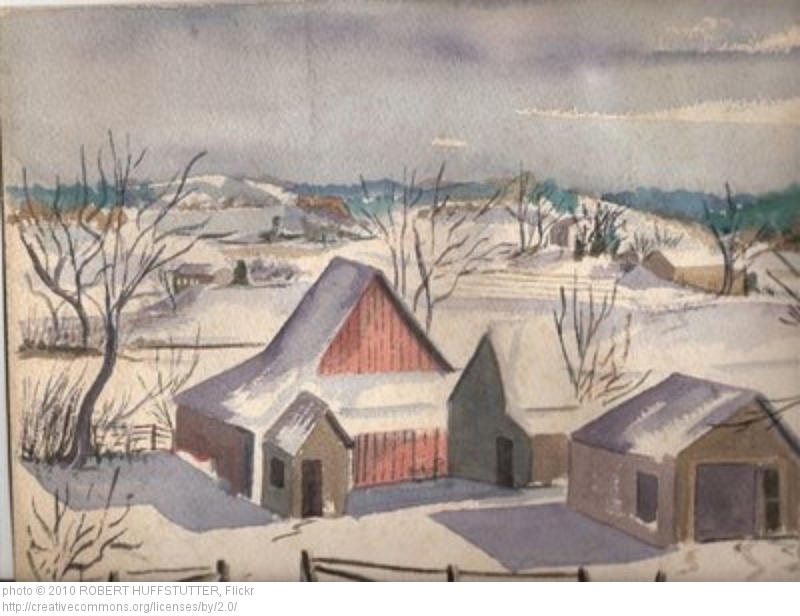 . . what do farmers do in the winter? Even down here in Southern Kentucky, we had a killing frost the last week of October. That means farmers are off for the winter right? Well . . . not exactly! For market growers, the first killing frost signals the end of the outdoor growing season. There are some sturdy crops that will survive it—such as broccoli, cabbage, turnips, collards, kales, and the like. There will also be some storage crops like potatoes, sweet potatoes, and winter squash hanging around in coolers or root cellars for a while. But the major part of what a market grower takes to market or packs into a CSA basket bites the dust. Of course, with the growth of “protected” agriculture utilizing high tunnels, low tunnels, and row covers, some other crops continue to be grown and marketed through the cold season. But for the vast majority of market growers and most farmers markets, the growing season is over. Does that mean that farmers get vacations from about the first of November until April or so? Wow, that’s five months! Yeah, they work hard during the season, but a five month vacation? Maybe farmers are onto something—what? They aren’t off for several months? What do market growers do in the “off” season then? Many market growers do in fact utilize this time to take a vacation. Market growing is intense, and it is renewing to actually leave the farm for a few days and experience new vistas, sleep past dawn, and perhaps be waited on a little. Not to mention, having the opportunity to hold conversations with people that don’t revolve around the lack of rain, disease, insects, and slow market days (we farmers are GREAT conversationalists). But we usually find, after fewer days away than we’d thought, thoughts and conversations turn back to the farm. We can’t wait to return. There is always end-of-season cleanup to do. Pulling up drip tape, removing trellises and stakes, turning under crop residue, and planting late cover crops are just some of the many chores involved in “putting the farm to bed” for the winter. It’s really satisfying to see the farm tidied up and ready for winter weather. Winter is the best time for cleanup and repair of equipment. Much of the equipment we use is older, and it breaks. In winter, we can make those repairs, change oil, grease connections, and generally get it ready for the rigors of spring planting season. 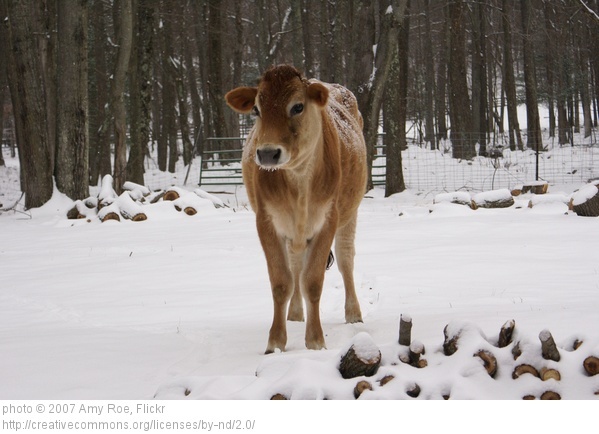 For diversified farms which have animals as well as crops, the winter can be a very busy time. Although there are feeding and watering chores during the warm season, many typical farm animals are grazers, and only need water provided daily. Even that can be automated in many cases. Winter is a different story. Most grazers will, at some point, need to be fed hay. It can be as easy as putting big round bales into feeding rings at regular intervals or as intense as feeding small square bales every day. Keeping drinking water available can be a huge job. In open winters like 2011/2012, when there were very few cold nights, it is just a matter of filling troughs or waterers every day. In more normal winters, like 2010/2011, the chore ranges from hauling fresh water several times a day to breaking several inches of ice on water sources at least twice a day. And, that means someone has to always be on the farm. Oops, there goes spending the winter in Florida! 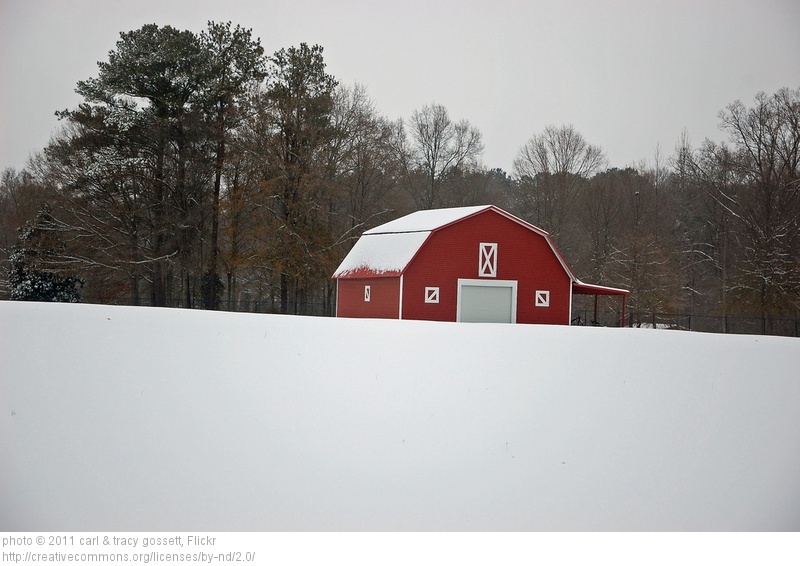 Planning for the next season is a task that market growers tackle in winter. Paul and I like to spend several hours reviewing the season just past in preparation for planning our next one. Farmers are eternally optimistic about farming, and if we don’t do our debriefing soon after the close of the season, our view gets progressively rosier. If we wait until all we remember are the things we did well, we lose the opportunity for improving our business. So, take a short vacation, debrief and record what went well, and where improvements need to be made, cleanup and repair, husband animals, and, then what? Seed catalogs start arriving. It’s like Christmas for us! 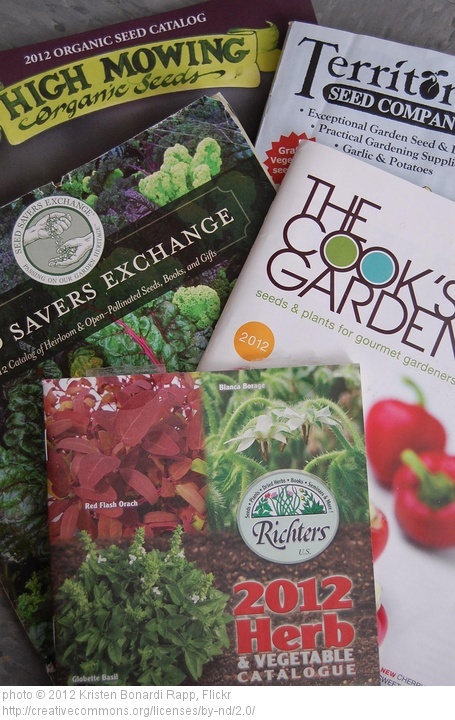 Looking through seed catalogs and dreaming of what we will grow next season is really exciting. We have crops and varieties that we always grow and know we will again. Then, we have new varieties that catch our eye and we want to trial. There are always crops we haven’t grown yet and want to try. Sometimes they are something totally new like ginger and sometimes something we tried before, dropped, and want to bring back. As growers who use a farmers market for selling our produce, having new and exciting items for customers keeps bringing them back to our booth. Inevitably, we don’t agree on everything, so we have an agreement that each of us may grow two items just because we want to. It’s a lot of fun selecting those two items! Then we order seeds and supplies when many people are ordering Christmas presents. After Christmas, the seeds start coming in and it’s time to start planting in the greenhouse for spring field transplants and spring plant sales. This early in the year, it can take 6-8 weeks for most transplants to grow to sufficient size because the days are so short. Since we start transplanting in high tunnels in March, we start seeding in January —or even December for very slow-growing items. From about the middle of January on, we are seeding many flats of transplants per week. Flats of plants means more chores are added to the farm schedule since every flat that is seeded will need watering, probably thinning, and maybe top-dressing before it goes to the field. Watering the greenhouse becomes a daily task and later when it warms up, a twice-daily task. From mid-February until mid-April and beyond, work load continues to increase each week. It’s a hopeful time of year and we love working in a warm, sunny greenhouse, growing baby plants for future planting. But, it does mean someone must be on the farm daily to monitor the process. Finally, winter is a great time for continuing education and socializing. Farming is a wonderful way to live, but can also be isolating. Often, there just isn’t much time – or energy – for socializing during the growing season. Farming is also a career, like most, where there are always new techniques to learn, ideas to mull over, and research to read. Fortunately, winter is farming conference time. There are many types and styles of conferences to choose from. Almost everyone can find one or more not too far from home (or far from home if desired) and targeting a particular interest. I know that we always look forward to attending conferences. Not only do we return home with several layers of new knowledge and ideas from sessions, we also have time to sit and talk with fellow farmers. Oftentimes that farmer you talk with in the hallway between sessions will inspire you to new ventures, or help you problem solve issues. It’s time and money well spent. We always return from a conference refreshed, excited, and ready to tackle the season. So, now, when it is mid-winter, your farmers market is closed for the season, your next CSA basket is months away, and you are wondering just what your farmer is doing with five months off from farming, you can remember this article. While it is possible he/she is taking an extended vacation, it is more likely he/she is still fully engaged in the love of their life—farming. ← previous post Bowling Green: The Next Kentucky Foodie Town? Love this comment, Rachel! Thanks for sharing. 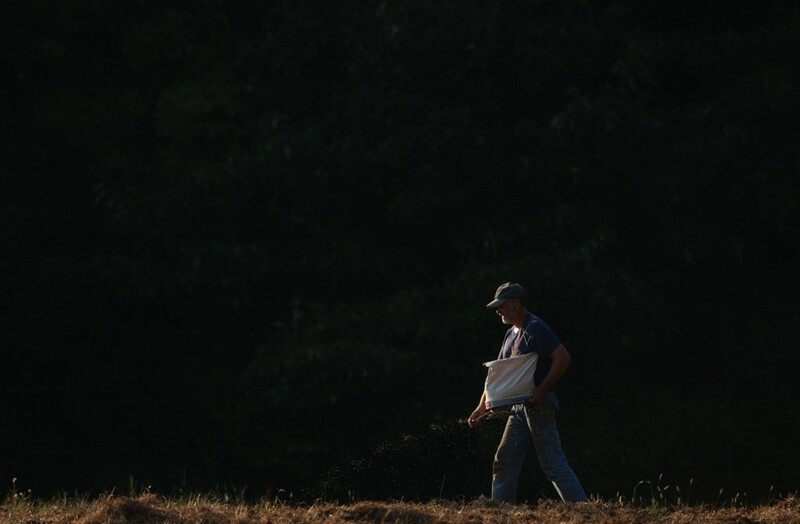 Farmers are the hardest workers that I know. It only makes sense that they wouldn’t rest in winter!